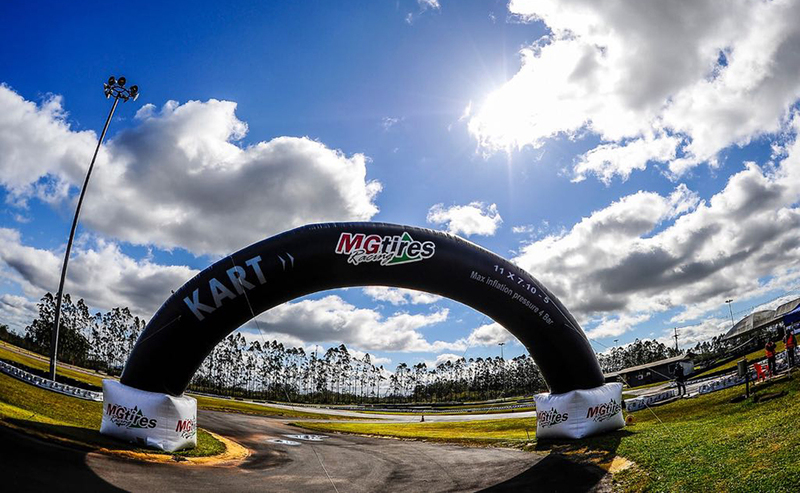 One of the largest manufacturers of kart tires in the world, the Brazilian MGtires was once again present at an international event. Exclusive tire supplier for the South American Championship and the Americas Trophy, the company made a positive balance of its participation in both competitions last week in Rio Grande do Sul, at the Kartodromo Velopark in Nova Santa Rita. MGtires set up its traditional structure with its personnel and support vehicles and a space for pilots and teams to know more about their tires, which were supplied to the five classes present in the Velopark. Thus, the Codasur Júnior and Codasur classes used the FZ model, with yellow seal; the Senior and Formula 4 competed with the red-stamp HZi model; and Cadet ran with the CDT model. In addition, due to the heavy rains that fell in the region in the first two days, all competitors used WET models for wet tracks. MGtires' final balance sheet was once again extremely positive, as their products collaborated strongly for the great balance between competitors during all track activities, as well as proved again to be very reliable.